Yesterday felt a little like Debbie Downer so I have some really good news too! Even with all of our soccer running around, we recently got the boot washer hooked up at the executive deer stand! Although it has been fun using the outdoor litterbox, it got a little old for the ladies, especially. I don’t understand but then I am not a lady. I was sort of excited actually when we got the deck built. You can imagine, as a guy, that a high deck and the lack of indoor facilities was a temptation too good to pass up! The funny thing is that the very first construction we did at the property was install a regulation septic system. It remained unused for 2 years as we built our cabin. 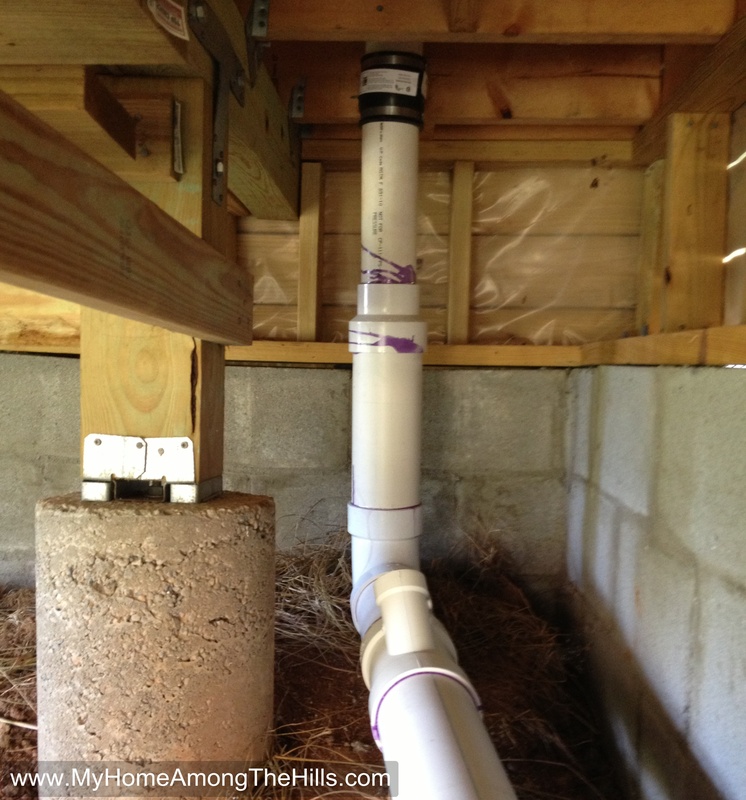 I have had the pipe sticking up under the house for 8 months or so. I just needed to complete that final step where we join the toilet to the pipe. With my usual schedule, 8 months seems pretty good! Pipes…who knew how exciting pipes could be?! So, it is functional but we don’t yet have water hooked up. No worries though…we always bring water for washing and flushing. I haven’t installed the tank yet. I’ll get to that after we get the walls insulated and covered with drywall. I don’t care much for wrestling a full complete toilet. I’ll tell you, with the fall muddy season nearly upon us, I am so glad to have the boot washer in place! Boot washer! Ha!! New term for me. I’m sure the ladies in your family will be thrilled when the boot washer is fully functional. Big improvement! One step at a time. Wow you are getting the place all fancied up. HA! 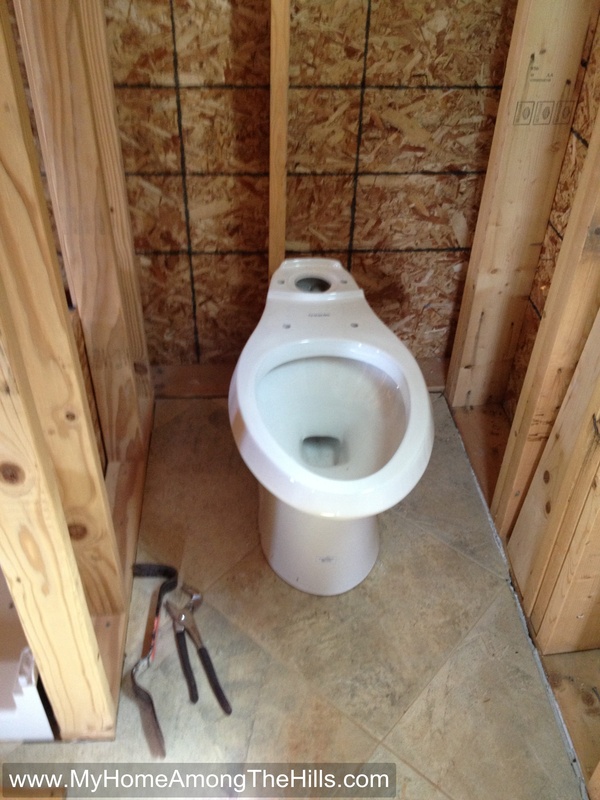 Angela, the seat is on there in real life…just no tank yet. Sans seat would be not much fun for anyone! I was going to make a crack about you finding the solution of seat up or seat down but I guess you caved in already.